You've already touched on "Scarlet Spider" #12, on sale December 5, but what else can you tell us about this issue? Issue #12 is Kaine ready to basically abandon Houston after the events of "Minimum Carnage." 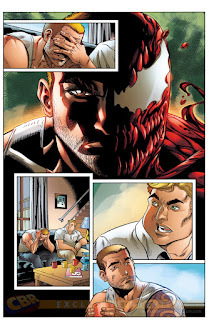 I don't want to spoil the end of that story, but bad things happen and Kaine is pretty rocked by it.